Looking at Windscribe VPN and wondering how much crypto capability impacts VPN conneciton. 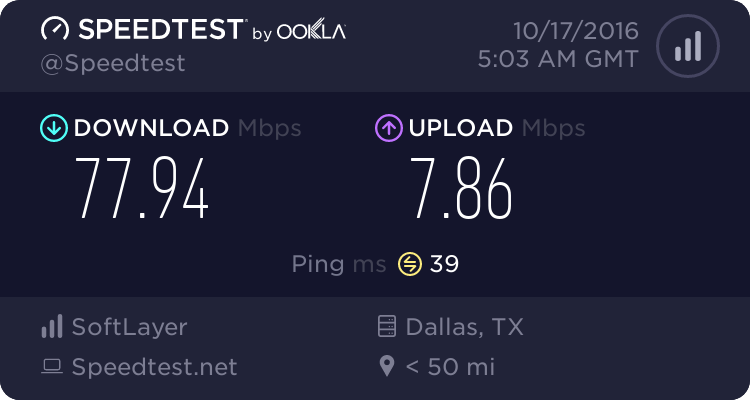 One thing I noticed while doing this is that Windscribe seems to load-balance heavily in the Texas area. My IP address would change pretty much with each connection. First, here’s Windscribe connecting through the IP 75.126.39.93 (SoftLayer). This is a really fast test. Now, with hardware encryption via cryptodev driver. 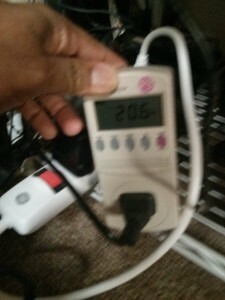 Note that this time, I’m connected via 173.208.68.218 (Nobis Technology Group). There’s a modest decrease in the CPU usage (particularly user and system). These results weren’t as conclusive as I’d like. For example, I got wildly varying results using the VPN when I retested. In some cases, the CPU usage was close to 40% (even with hardware crypto). I also think that the result above with hardware crypto isn’t apples-to-apples since the resulting data rates were lower (likely congestion outside of the VPN), and that’s likely limiting the taxation on the crypto—the crypto never gets exercise to the extend of the first test. I’ve been using Plex for quite a while. You have to jump through some hoops (it only supports MKV files, not DVD or Blu-Ray directory structures), but it does in the end work quite well with my Fire TV stick and with the Google Nexus Player (Android TV). 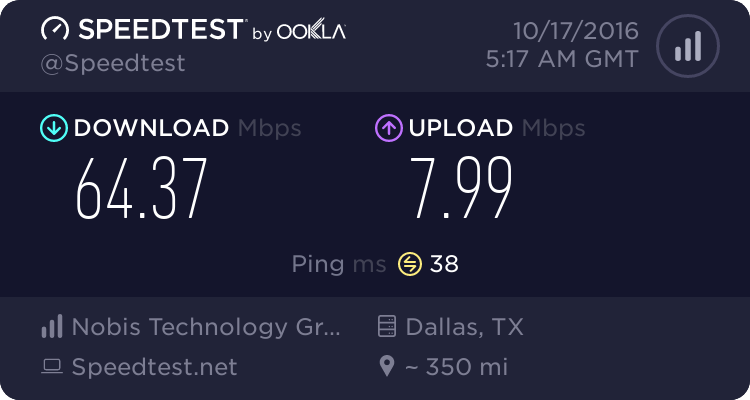 I recently got a PlexPass subscription. This should let me create user profiles for people in the house. (These are called Managed Users or Home Users depending on the documentation.) I should also be able to sync contect (offline copy) to portable devices. Except for whatever reason, the system was horribly broken in my house. The server would be unavailable for most of the UI’s–especially the one where you designate users and define what server libraries they have access to. After a good day of debugging (total), I found that there were two reasons this didn’t work. The problem is that devices inside my house need to (for example) query the hostname 192-168-0-10.long_hash.plex.direct, and what is supposed to happen is that the DNS is supposed to return 192.168.0.10 (the local IP address of the server, within the LAN subnet). Unfortunately, in my case, pfSense blocks this from happening because it doesn’t want a fully-qualified domain resolving to something within the house. The fix is to let pfSense know that plex.direct is allowed to resolve locally. This information is detailed here. Security setting in OpenDNS to help Plex resolve local addresses. Curiously, even after I got the above DNS resolution working, my Plex server still didn’t work right. I would get a message saying secure connections aren’t possible and that I need to fall back to insecure connections. This happened even when I was accessing the player web interface on the plex server. How can it not create a secure connection to itself? I did a tcpdump to investigate. I saw that the Plex server was trying to contact my WAN address. (I had to do port-forwarding to get the server accessible outside my home network.) I assumed that while I was on my subnet, Plex clients (including the web client) would use the LAN subnet address. For whatever reason (bad coding, bad configuration), this local-addressing isn’t the case. The Plex web client was trying to contact the Plex server through the WAN (routable Internet) address. Most NAT systems can’t do this. Luckily, pfSense can handle it well. I just had to create a NAT reflect rule (with proxy) to accept those connections and redirect them as necessary. What I found was that my Plex server was out of disk space. I basically had a 32GB booot/OS drive in there, and it was full. I did some cleaning and that helped. Then I also noticed that there’s a transcoding directory in the Plex server settings. I presume that this is set to /tmp or to the plex installation path, but in my case, both sit on a single small drive. So, I pointed it to my ZFS system, where there is plenty of space. This has seemed to clear everything up. Huzzah! I also had a long battle with Managed Users. Adding one for my wife (for example) did not show any selectable libraries I could share with her. I ended up blowing away my install, installing with the PlexPass version, and then re-adding users. It’s probably coincidence, but it seemed that when I created libraries in a different order (adding SD quality before HD), things worked. But, it’s very unscientific, and perhaps it was related to the other issues already listed. These cameras support FTP as a storage mechanism for video and snapshots (motion-detecting for example). As a result, I wanted to set up an FTP user on my FreeBSD machine. Iniitally, I tried creating a user with a shell of /usr/sbin/nologin, but that doesn’t work for FTP. FTP users need to have a shell in /etc/shells. I saw this post which talks about FTP requiring a shell in /etc/shells, and that adding /sbin/nologin is a bad idea. Instead, it recommends making a copy in /usr/local/bin/ and adding that copy to /etc/shells. Instead, I made a link—in case (for some reason) there’s an update to /sbin/nologin, I want the FTP user to get an update. I then added /usr/local/bin/nologin-ftp-only to /etc/shells. To be even more secure, I made the FTP user’s account chrooted by creating /etc/ftpchroot. I recently bought this laptop. It came with 4GB of DDR3L-1600 CAS-11 memory. I also recently purchased a pair of 8GB OF DDR3L-1600 CAS-9 memory, figuring that this pair would allow for dual-channel acces and also that the CAS-9 would improve performance (not to mention that the extra memory in general would also help). That’s 167 MB/s sequential write—pretty cool. Since this is on Windows 7, there’s no UASP support, which should improve performance even more. So, our school has adopted SchoolSpeak as their online platform. This includes lunch orders, and I’ve been asked to help the administration out with some summary reports (at least until SchoolSpeak can directly support what we need). Basically, I need to figure out how much money was made each day of the month, totaled by week-day. The above accepts both year-month-day and year-month format. I intended for a year-month to be the entire month, but the datetime module will parse it as year-month-1 (1st of the month), so I’ll need to add a command-line parameter to iterate over the month. Speaking of which, how do I figure out how many days in a month? Turns out there’s a calendar module for that. And it has an iterator over days of the month. Sweet! So, you remember that pfSense build that I talked about before? 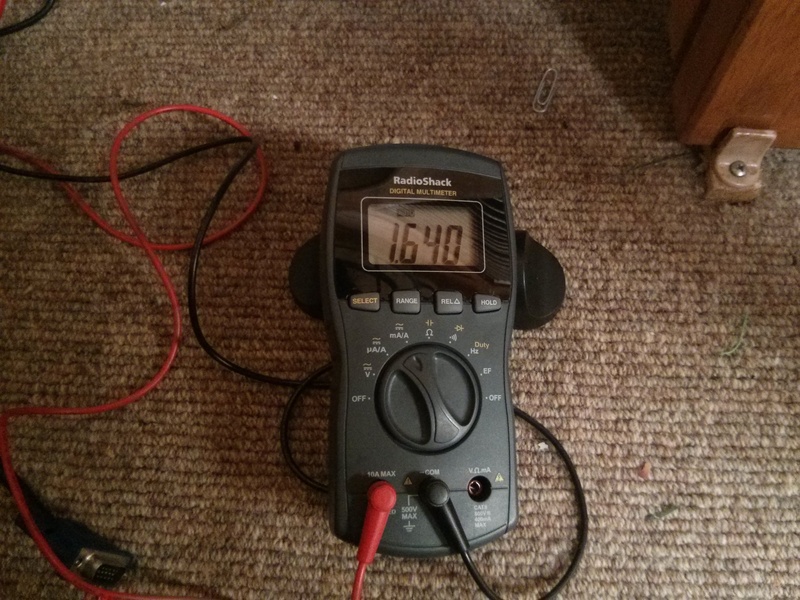 Well, it was drawing around 25 W.
So, one of the things I tried to figure out is what the main power draw is. The PicoPSU accepts a 12V input. 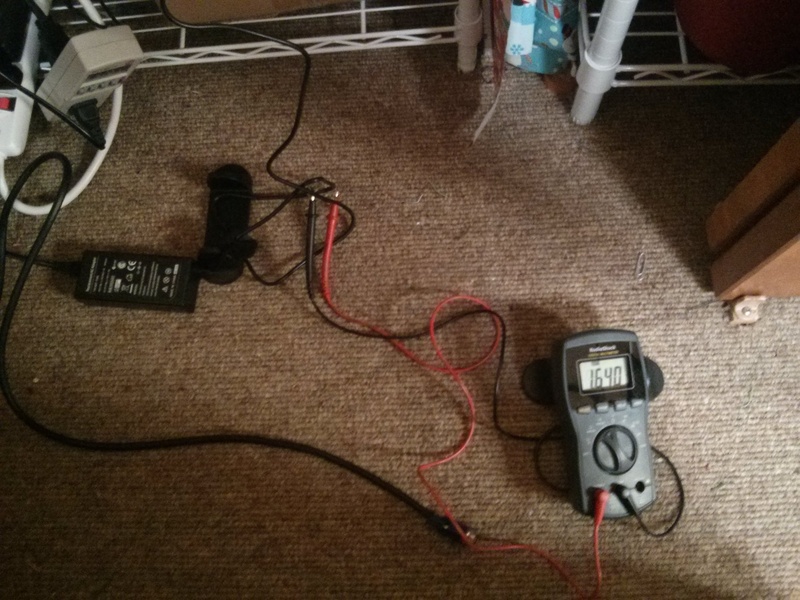 Could the ac/dc adapter be hurting my efficiency? The adapter I have is a 12V / 5A (60W) adapter that I got for around $10 off Amazon. I figure it wasn’t anything special, and was probably not terribly high efficiency. 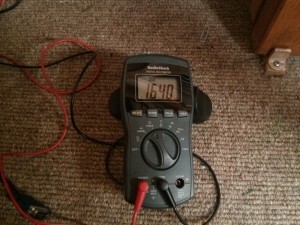 Which all means that my efficiency is 1.64A * 12V = 19.68 W / 20.6 W = 95.5%. I should also note that the power draw is less than I remember. I thought it was more like 25A, but I never wrote it down, so I can’t be sure. I’ll take 20A, and be quite happy.